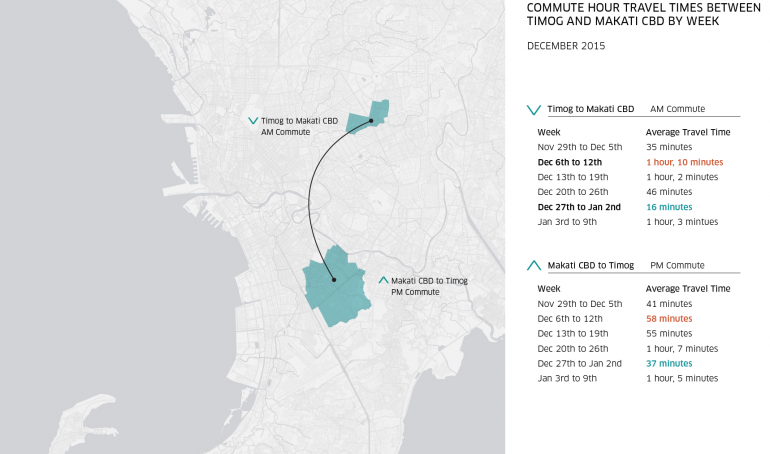 Uber is throwing a bone to the cities in which it operates by sharing valuable traffic. The new site, Uber Movement, allows city planners and officials to examine transit routes and obtain information they would otherwise not have access. This database of historical traffic data covers things like transit times between locations, and potential traffic bottlenecks. The historical nature of the data also allows planners to note any potential issues that may arise in the event of a large influx of visitors to the city. City planners have traditionally struggled with obtaining traffic information. US cities, where Uber Movement is initially catering to, have had to rely on data taken from transit authorities which only note the number of cars entering and leaving a city. Uber’s additional data with allow city councils to better plan public transportation routes; or at least that is what officials are hoping it will do. Releasing this data is not entirely an altruistic move from Uber. The company is still facing opposition in several countries across the globe, and offering valuable information could be seen as a bargaining move to be allowed to continue to operate. Especially since the company has traditionally refused to grant requests for this kind of data in the past. As it stands, Uber Movement currently offers traffic information for four cities: the Washington metro area, Boston, Manila and Sydney. Dozens more are supposed to be added in the near future, although that is a drop in the bucket compared to the 450 cities where Uber operates.